You could probably make a list of bands who benefitted from the Nirvana grunge revolution – and it wouldn’t be a light list. It would almost be the definitive “who’s who” of ‘90s alternative rock acts. Today’s band is no exception – from toiling in mediocrity for nearly a decade to piggybacking on the revolution to sell over 15 million records to date. Chris Cornell and Hiro Yamamoto founded The Shemps in Seattle around 1980. While not achieving success, they could see the groundwork was there for a really good band. After going through some lineup variations and touring, a visit to the National Oceanic and Atmospheric Administration building in Seattle would change lives. Housed there is a wind-channeling pipe sculpture, known as “A Sound Garden.” Consensus was that was a pretty outstanding band name, and Soundgarden was born in 1984. As many young bands do, they had quite the local cult following. In the late ‘80s they signed with a larger label, causing many of the die-hards to claim the band had sold out – also partially because of an opening gig for Guns N Roses. Some of that rift with fans caused sales to be slow, and the band never quite took off. Enter 1994, a couple years after Nirvana started the revolution. Here was another Seattle-based band, making similar music. 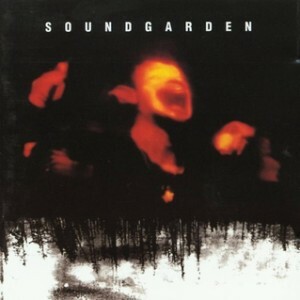 Soundgarden’s fourth studio album Superunknown was released in March of ’94. Instantly the album was a smash, selling over 300,000 copies the first week and opening at #1 on the Billboard 200 chart. Work on this album began in 1992 after their tour at Lollapalooza. Band members worked on material individually and then bought their own demos back so the other members could contribute. This was a total departure from how they’d worked in the past, and they felt it gave them more freedom to express themselves. Taking advantage of a new state-of-the-art studio in Seattle, they went back to their roots to record – and the results were nearly 10 million copies sold and complete critical acclaim. This is sort of one of those records where you don’t fully appreciate it until you’ve listened to it multiple times. Sure, there are five commercial singles on it that are awesome, but the record as a whole is almost nuanced, where you don’t quite realize how great it is until a few listens. The vocals are great, the layered sound is outstanding, and the production is second to none. While classified as part of the alt rock rage, it has almost a punk or heavy metal feel to it. The guitar riffs are so meaty, and the lyrics are a bit dark, it doesn’t exactly scream pop chart success. But here it sits at #38 in Guitar World’s 100 Greatest Album of the ‘90s and number 336 on Rolling Stone’s best albums of all time. I whole heartedly agree that this album is outstanding. Anyone who watched MTV in the mid ‘90s remembers the video for “Black Hole Sun.” It was dark and creepy, but awesome at the same time. That’s sort of this album wrapped up in a nutshell. It’s dark and hard – but boy is Superunknown worth $5 bucks. Definitely one of the best albums in a decade that produced some of the best ever. Another great review of yet another fantastic album / band. You have great taste in a wide variety of music. Thanks Erik! Always happy to hear the feedback.